WE ALL SCREAM FOR ICE CREAM! And then we scream some more! Ice cream is a hands-down, get-out-of-town favourite treat for many of us. It’s a good thing that the fabulous city of Melbourne is brimming with excellent ice cream outlets, and some of them are lifting the bar in ways we never thought possible. 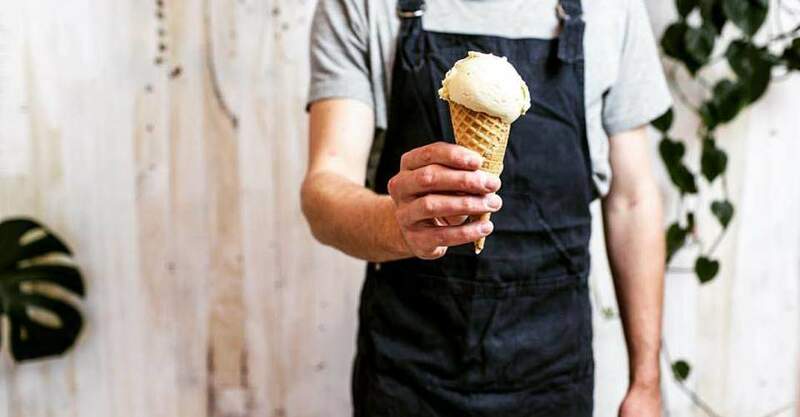 Check out six of our favourite ice cream stores in Melbourne. This ripper of a store, situated in glorious Albert Park, actually came about as a result of one man’s misfortune. When a road accident forced Jock Main to spend a great deal of time at home recuperating, he decided to don his creative cap and whip out his ice-cream machine to come up with new and improved ice cream sensations. In 2001, Jock’s Ice Cream and Sorbet was born – and it has been there ever since, scooping up heaven for Melbourne’s multitudinous ice cream fanatics. As far as flavours go, there are around 80 to choose from, with Hokey Pokey remaining a long-time stand-out. Many of the sorbets, which use fresh fruit, are seasonal, so flavours change over the year. All of Jock’s sorbets are dairy-free – great news for those with intolerances and allergies. Check out the website for more allergy information on Jock’s ice cream and sorbets. 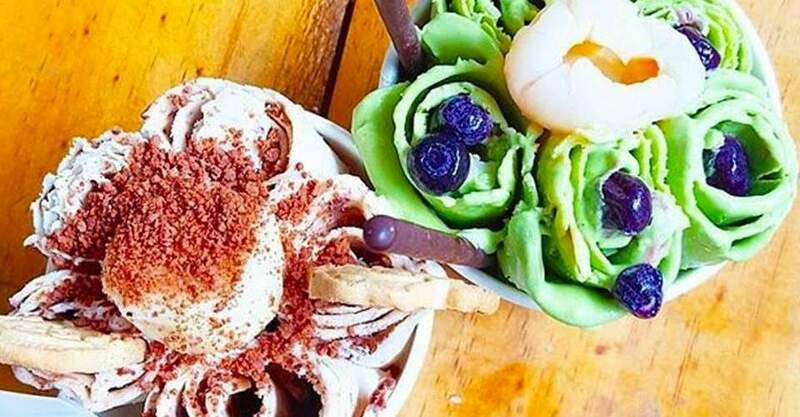 With Sydney being the first Aussie city to welcome Gelato Messina, Melburnians turned green with envy. But – thank goodness – Melbourne didn’t have to wait too long. With stores in three locations around inner-Melbourne, there’s now plenty of Messina goodness to go around. So what makes Gelato Messina so irresistible? Well it’s all in the technique, according to the crew. At Messina, it is believed that the best gelato is created by using food in their most natural state. Chemicals, colours and other nasties are not even allowed through the door at this place. 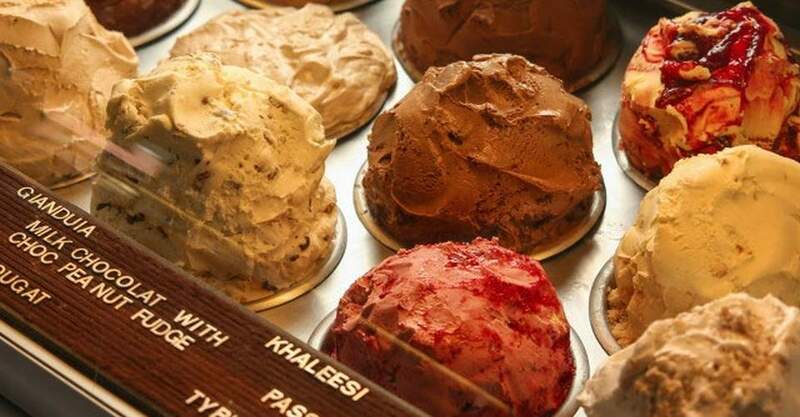 There are 40 fresh flavours to choose from at Gelato Messina, and definitely something for every palate. The fruity flavours are particularly sublime; there’s a Raspberry that will knock your socks off and a Coconut & Lychee that is pure bliss. Nestled among the hubbub of busy St Kilda is a little slice of heaven serving up artisan gelato for all to enjoy. 7 Apples is located on Acland Street, just around the bend from our iconic Luna Park. To Italians, gelato is part of life, a passion that lasts a lifetime, and to 7 Apples founder, Mark Mariotti, who spent some time in Tuscany perfecting the art of true gelato-making, this is the message he likes to send out with each and every scoop served. 7 Apples is an award-winning gelataria, with such flavours as Fig Pudding, Croccangelo and Turkish Delight all picking up gold awards along the way. 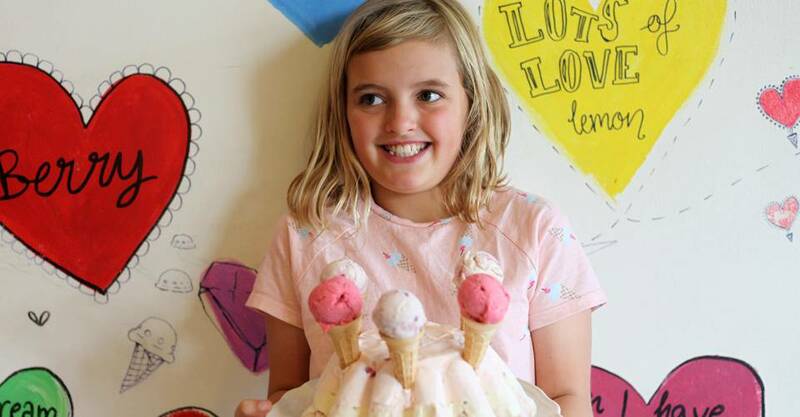 If you do find yourself around St Kilda with the kids, do yourself a favour and pop in here for a scoop – or three! In Hawthorn, on busy Glenferrie Rd, you’ll find a much-loved establishment that serves up some serious treats for taste buds. 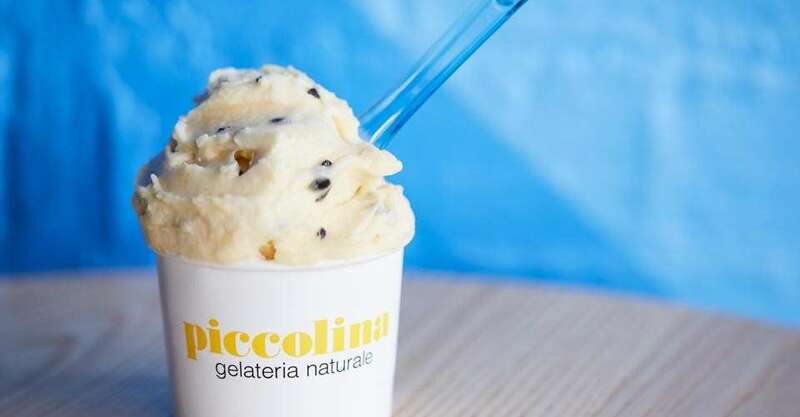 In fact, Piccolina Gelataria has become renowned within Melbourne as being one of the best around when it comes to genuine Italian gelato; it’s all made in-house with 100 per cent honest ingredients – no preservatives here, folks. These guys even roast their own nuts on site to add to the gelato – that’s a lot of nuts! Which remind us, you simply must try the pistachio. They also serve up Ferrero Rocher cakes. Don’t think, just go. At Billy Van Creamy it’s all organic; these guys have no time for synthetic ingredients and nasties – only pure goodness allowed. 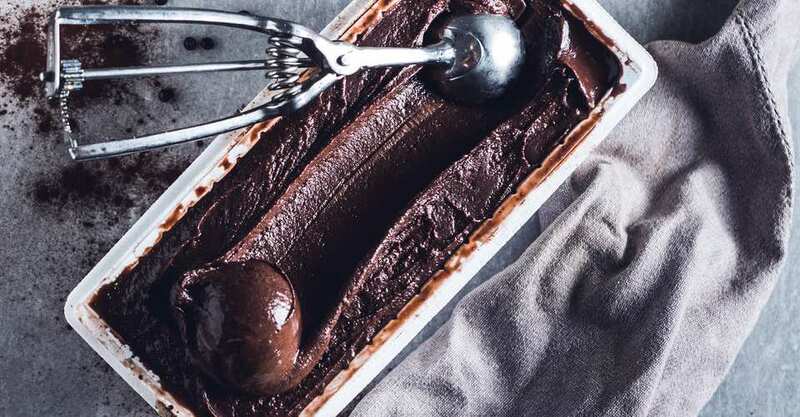 Founded by two brothers with a passion for quality food, Billy Van Creamy serves up both ice-cream and seasonal sorbets – and trust us when we say that there is an abundance of yumminess happening here. Popular flavours include peanut butter, chocolate (OMG!) and vanilla bean. You and the kids can get your taste buds on some at their permanent store on Fitzroy St, the pop-up store on Gertrude St, or at the roving truck that pops up all over Melbourne. Being one of Melbourne’s favourite centres, Chadstone draws a huge crowd each and every day that it’s open. If you find yourself at Chaddy, leave some time to pop by Scroll Ice Cream – because this is worth it. Scroll is actually Australia’s first cold plate ice cream shop. They make every ice cream by hand using plate machines at temperatures below -20 degrees. You’ll find no preservatives of funny business here, just fabulous, uniquely created ice cream that will leave you smiling from ear to ear. And wanting to go straight back for more. Served literally as scrolls, at Scroll you’ll find such brilliant flavour combinations as Pavlover, Espresso Slam and Say Cheeeese – yep, that’s right. Cheese!